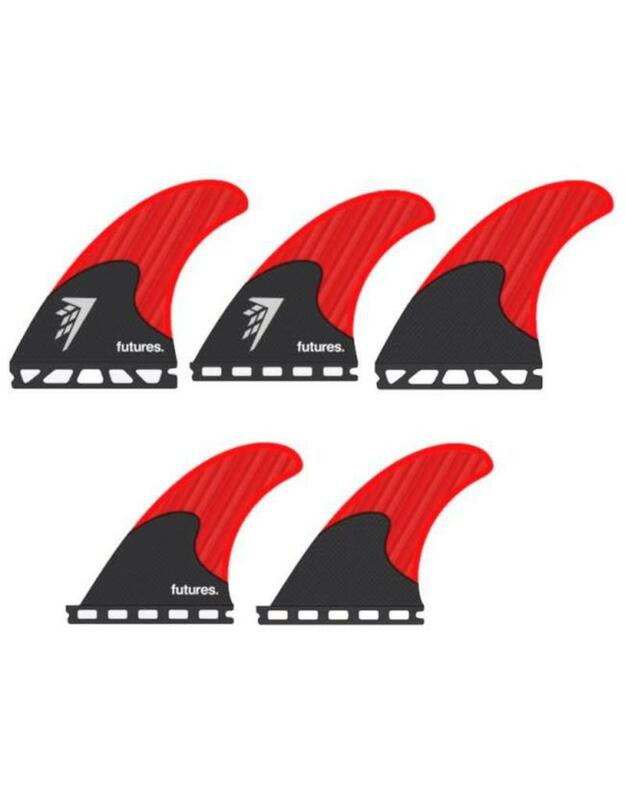 The Firewire 5-fin set was designed with a solid carbon base to increase drive through turns, along with a bamboo/honeycomb core to create a lively flex for release. 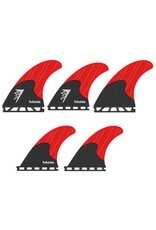 Though having a lot of surface area, these fins feel like a smaller set of fins when used as a thruster. When riding this set as a quad, the rear fins act as a pivot, giving you tighter radius than a traditional quad set. A lightweight hexagonal core supported with carbon fiber and bamboo gives these fins a little more controlled feel than glass-ons. Engineered with a medium flex pattern, stiffer than Blackstix but more flexible than Fiberglass.